What’s not to love? Quite a bit, it seems. Members of UVA’s community have criticized the gift from multiple angles. The gift, some argue, is yet another example of a wealthy individual exerting disproportionate influence over a public university. The new school will force students into an increasingly expensive private housing market, further driving up the cost of living for students, residents and university employees. And while UVA rakes in yet another mega-gift, individuals who work in the school’s dining service centers earn $10.65 an hour, far short of what is considered a living wage for the Charlottesville area. All thing being equal, the pushback here is relatively muted. The consensus across the UVA community is that a $120 million gift to cultivate an in-demand skill set is, as you might suspect, a good thing. But as universities—particularly public universities—are increasingly turning to private dollars as state governments step back, we’re seeing a commensurate uptick in criticism around mega-donor influence, escalating costs, and how a university can unwittingly exacerbate economic inequality. He is trustee of the QIM’s philanthropic arm, the Quantitative Foundation. The foundation has previously given more than $30 million to UVA, including a $10 million grant in 2014 used to establish the Data Science Institute, which will be integrated into the new School of Data Science. Woodriff made back-to-back $2 million grants for education support in 2010 and 2011, then another $4 million for education in 2012. He was also the main donor for the university’s $12.4 million, 33,000 square-foot McArthur Squash Center, which opened in 2013. Woodriff’s wife, Merrill, who completed a bachelor’s degree from the College of Arts & Sciences and a master’s degree from the Curry School of Education in 1998, is a foundation director. The foundation’s gift will support faculty and administration for the school as well as doctoral and post-doctoral fellowships, with matching funds from UVA’s Bicentennial Professors Fund and Bicentennial Scholars Fund. The gift will also support a new building for the school and an endowed fund for visiting scholars from other schools and academic units. It’s worth recalling that in 2012, UVA’s then-president Teresa Sullivan was pushed out of her job in what the New York Times described as a “campus coup”—with some alleging that wealthy donors were instrumental in her removal. (She was later reinstated.) Such donors have come to wield greater influence at UVA and other public universities as state higher ed funding has fallen in real terms. Speaking of “windfall donations,” consider UVA’s enviable financial situation. Woodriff’s gift, for those keeping track at home, calls for a new layer of administration and a new building. It checks off both of Zywicki’s boxes. 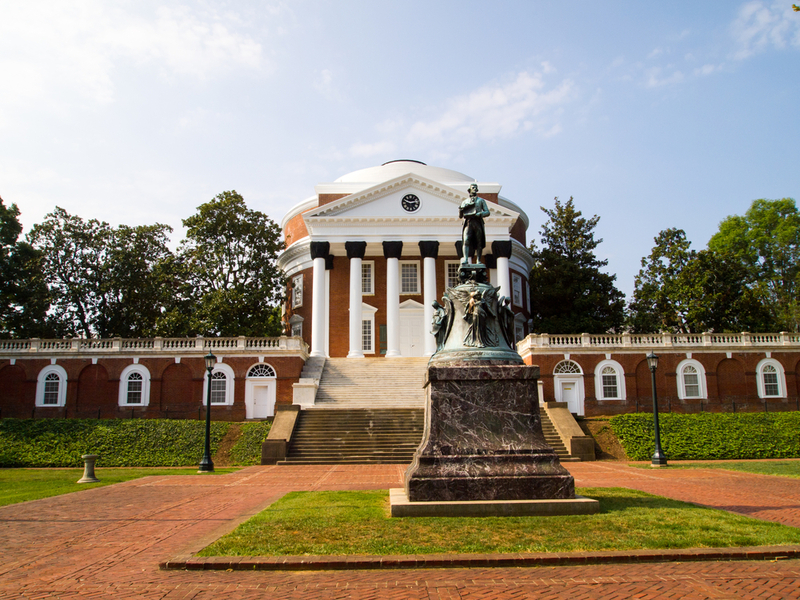 Meanwhile, last December, the UVA Board of Visitors approved a 2.9 percent increase in tuition for most undergraduate Virginians and a 3.5 percent increase for out-of-state students. In a somewhat similar line of argument, alumnus David Walton argued that a new data science school adds “unnecessary overhead and complexity” when the data science coursework could have been incorporated into the existing School of Engineering and Applied Science. Veena Ramesh, a second-year computer science student, worries the school could overwhelm existing programs. In response, Phil Bourne, the acting dean of the School of Data Science, predicted that the university will not see an increase in undergraduate enrollment with the creation of the new school. “We’re kind of working on the premise being that the increase numbers will come predominantly from online, which doesn’t require residential housing,” he said. All of which brings me to a final point of contention from opponents of the Woodriff gift. Although we’d like to pretend otherwise, gifts—and mega-gifts in particular—don’t exist in a vacuum. Their inherent “value” can be weighed against contextual forces like rising tuition, the student loan crisis, and issues like accessibility and economic equity. This is why state governors complain about a gift earmarked to fund a football stadium scoreboard while others applaud a gift to provide financial aid to economically disadvantaged students. According to Wilson, these forces are in full display in Woodriff’s gift, which may widen the gulf between the haves and have nots in a city with a tortured history of racial disparity. Currently, UVA pays workers a minimum wage of $12.38, while Aramark, the provider for university dining services, pays its employees $10.65. According to MIT’s living wage calculator, a living wage in Charlottesville stands at $12.02 for a single adult of $16.95 for a family of four in which both parents work. What’s worse, the Living Wage Campaign at UVA, launched in 1998, is the longest-running unsuccessful living wage campaign at a collegiate institution, with members still attempting to persuade the university to pay its workers higher wages. “The university… has been a prosperous university,” Mason told the Cavalier Daily. “That has meant poverty for the overwhelming number of African Americans who work for this University. They receive poverty wages.” The university’s expansion, which threatens to drive up the cost of living further for its workers, probably won’t help matters. We can all agree that UVA officials owe it to its students, employees and the community at large to address these issues. But what about donors? That’s the big question moving forward, especially as private dollars fundamentally reshape universities in profound and unforeseen ways.